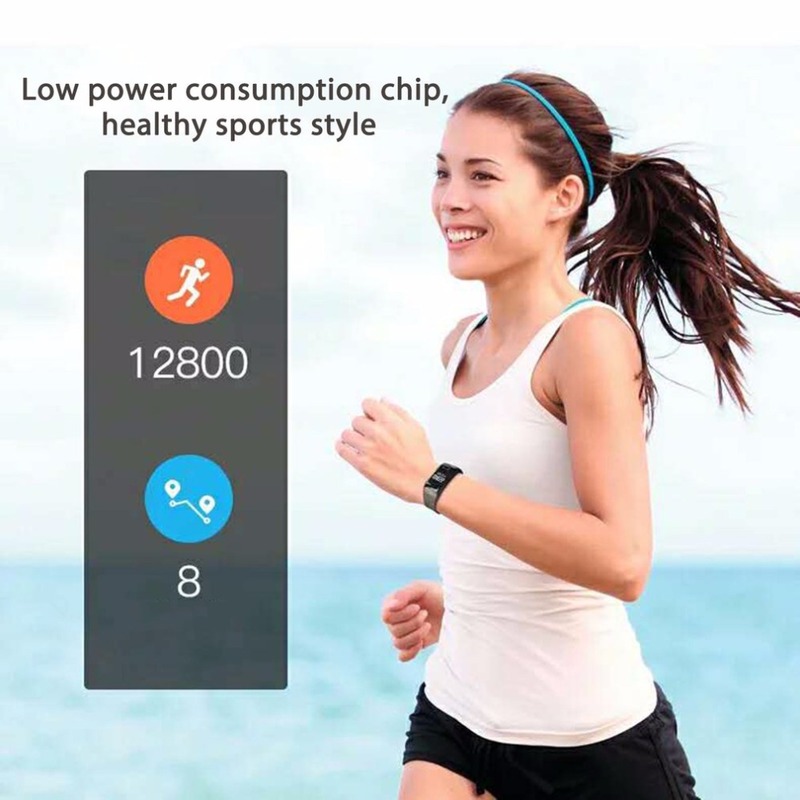 Low power consumption chip, healthy sports style. 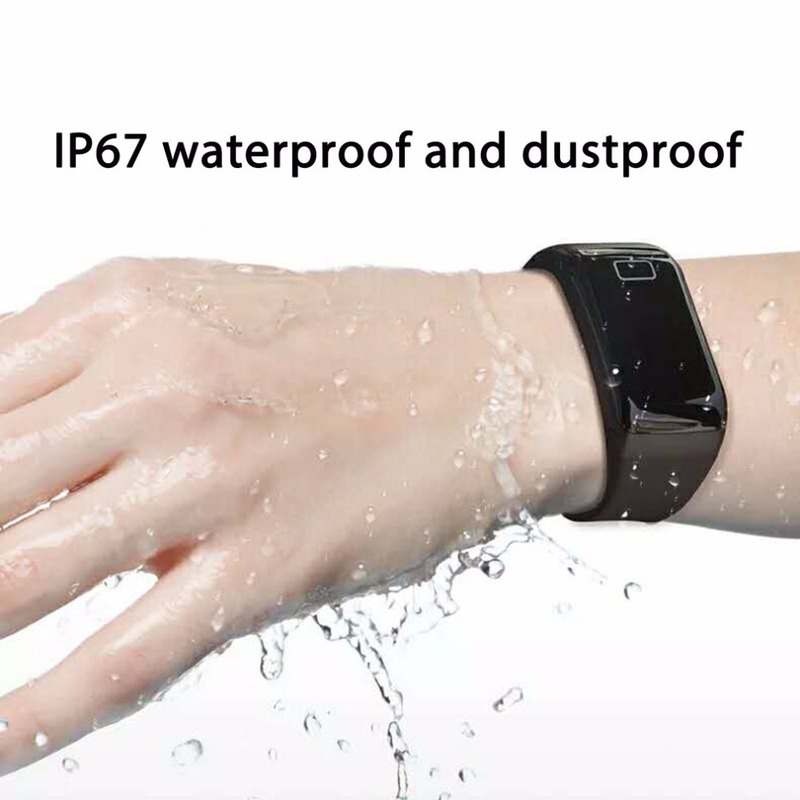 IP67 waterproof and dustproof, great for sports and daily use. 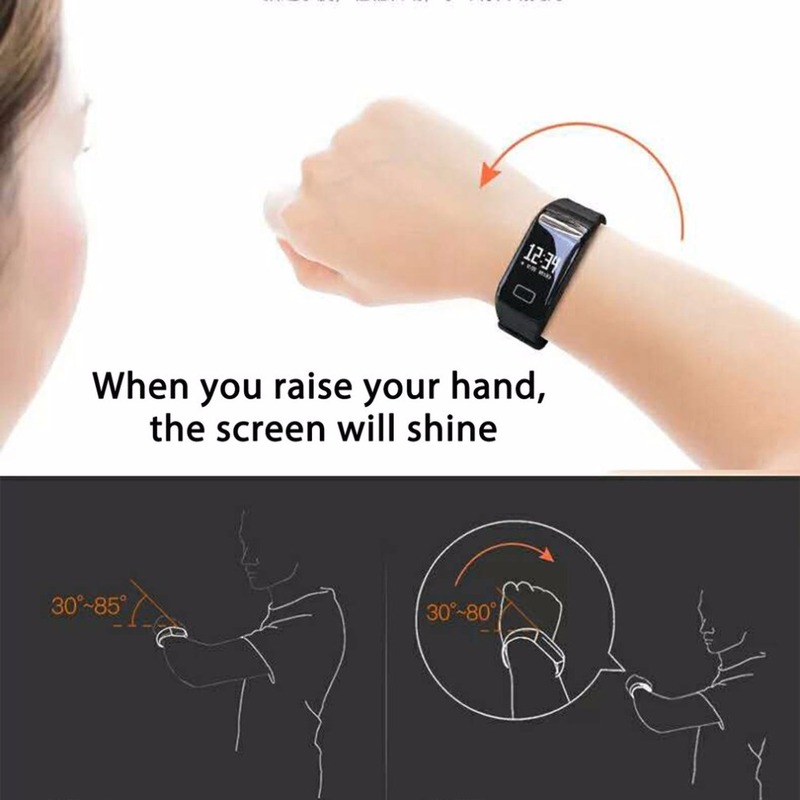 When you raise your hand, the screen will shine. 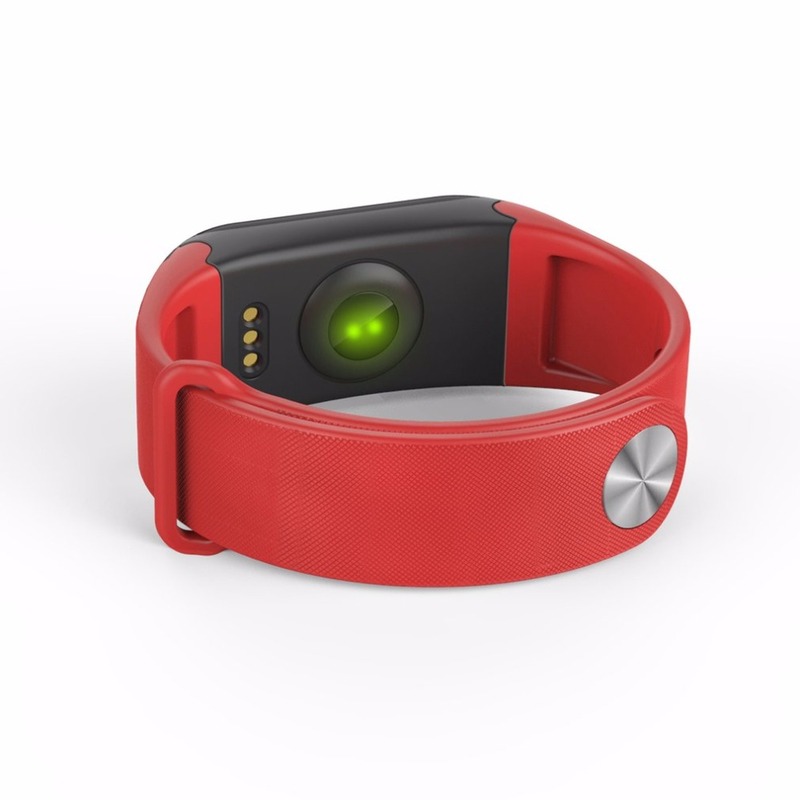 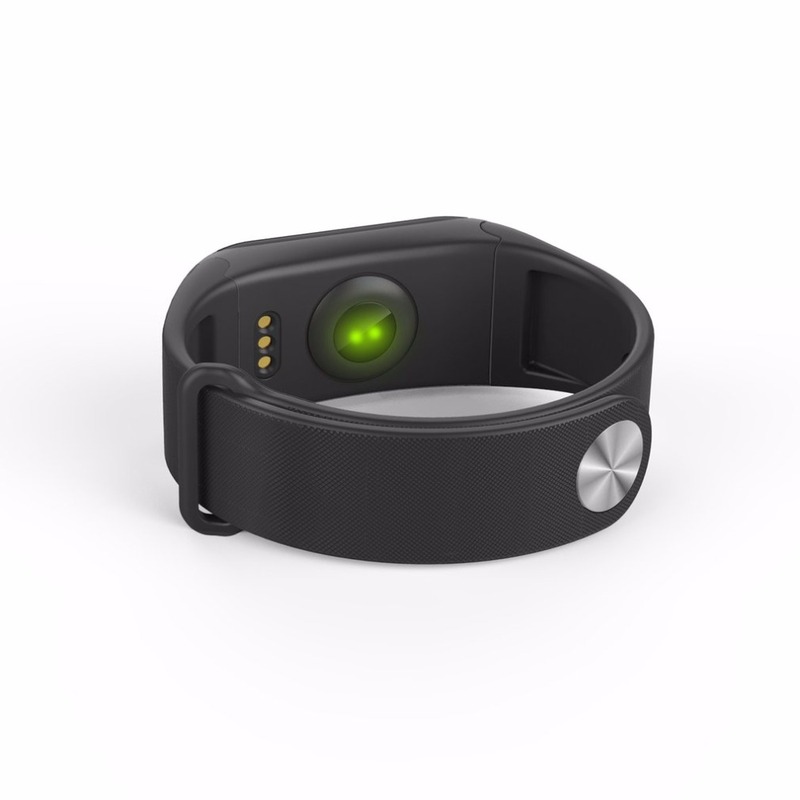 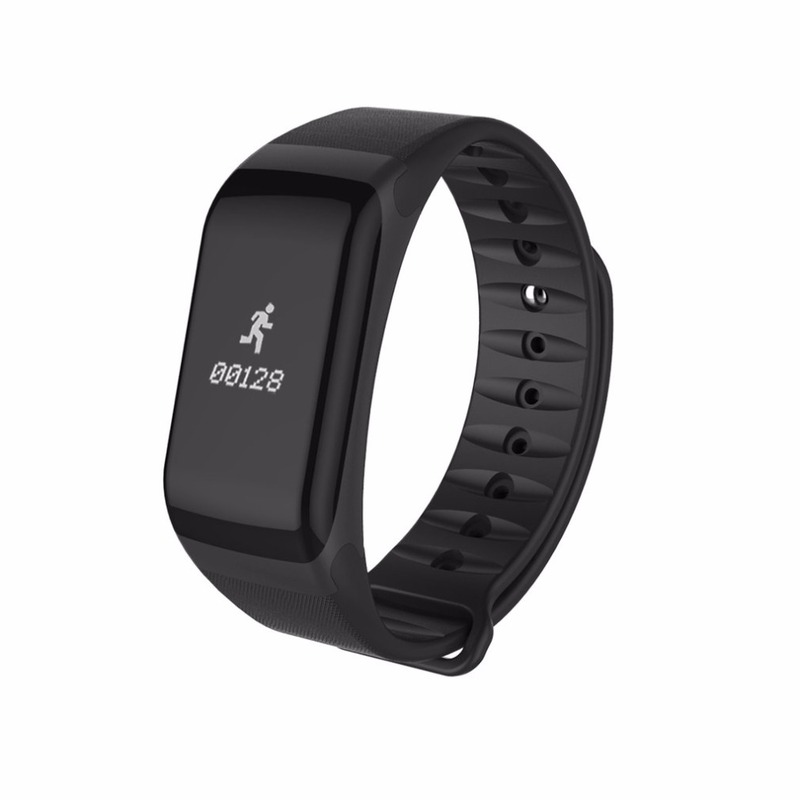 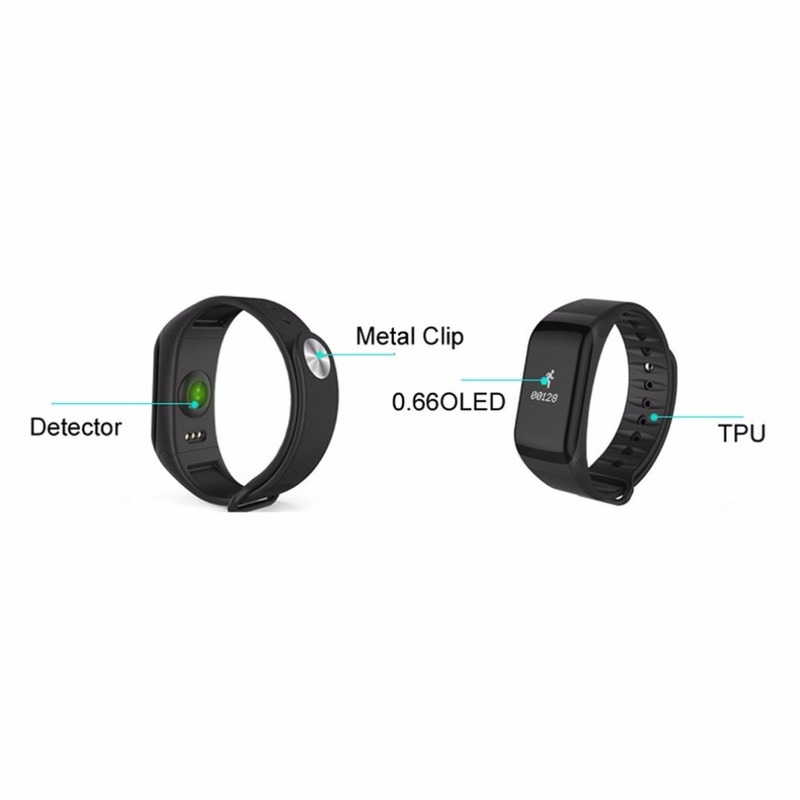 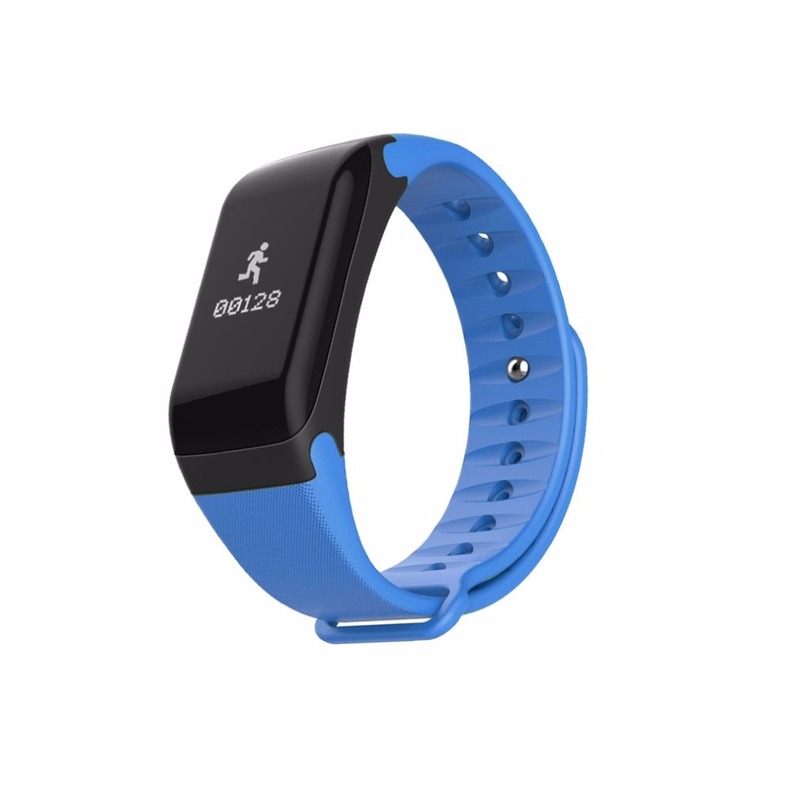 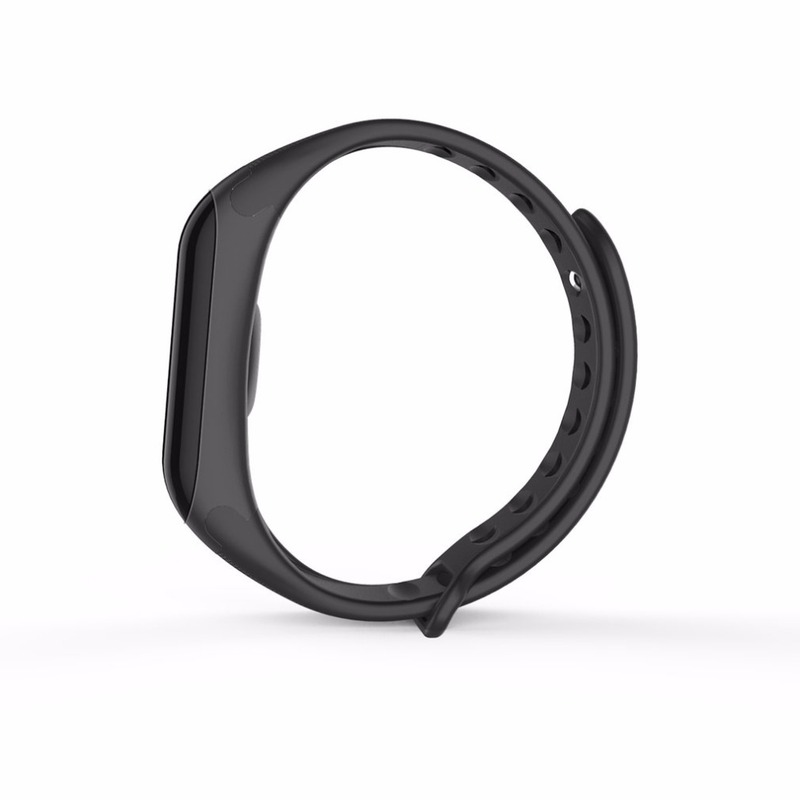 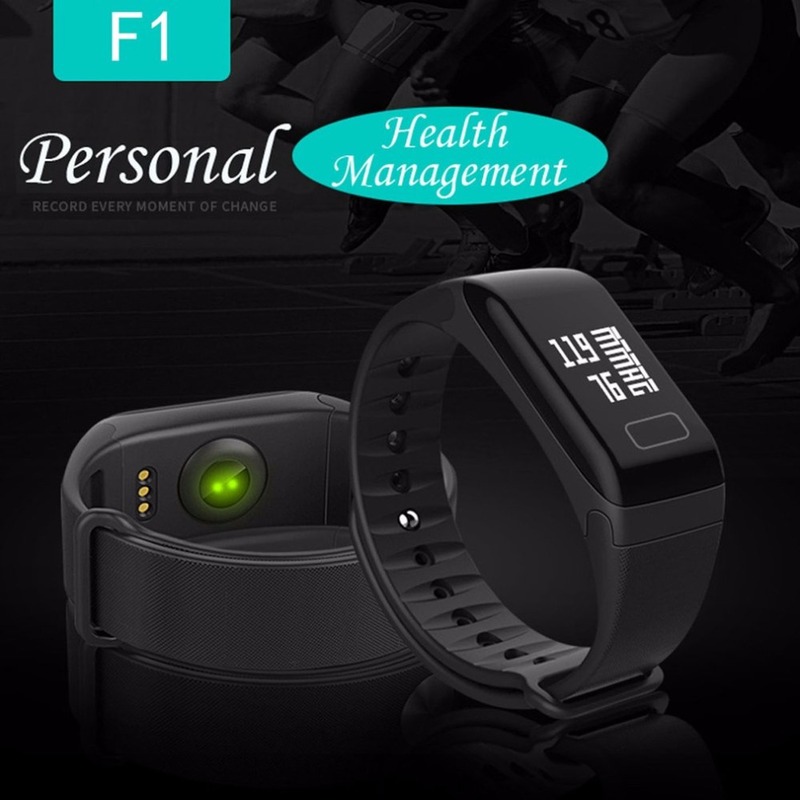 F1 smart bracelet is a good helper to record your exercise information to keep you healthy. 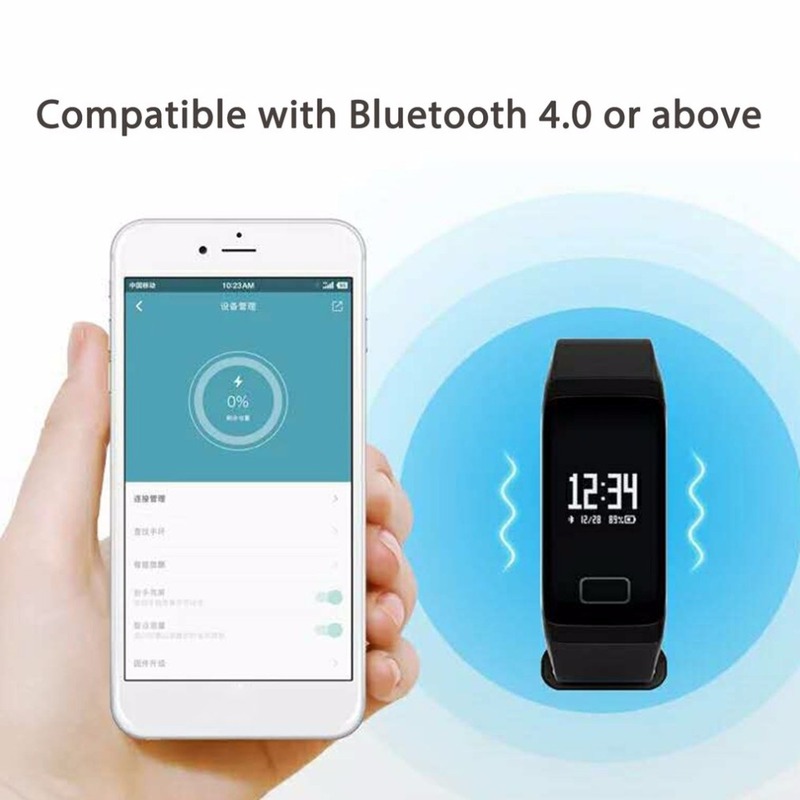 Compatible with Bluetooth 4.0 or above, for iOS 8.0 or above and for Android 4.4 or above devices. 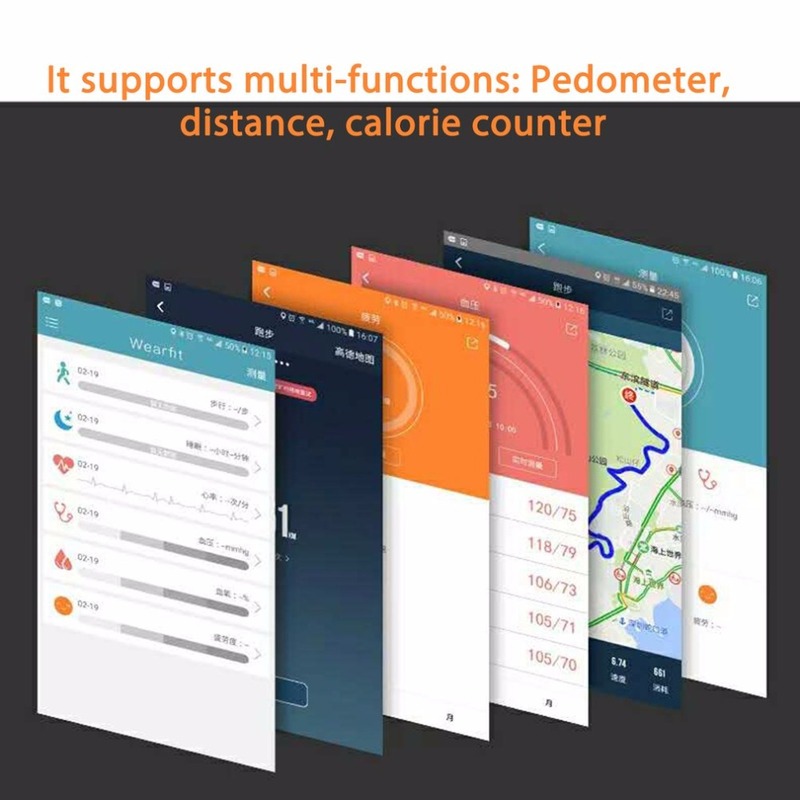 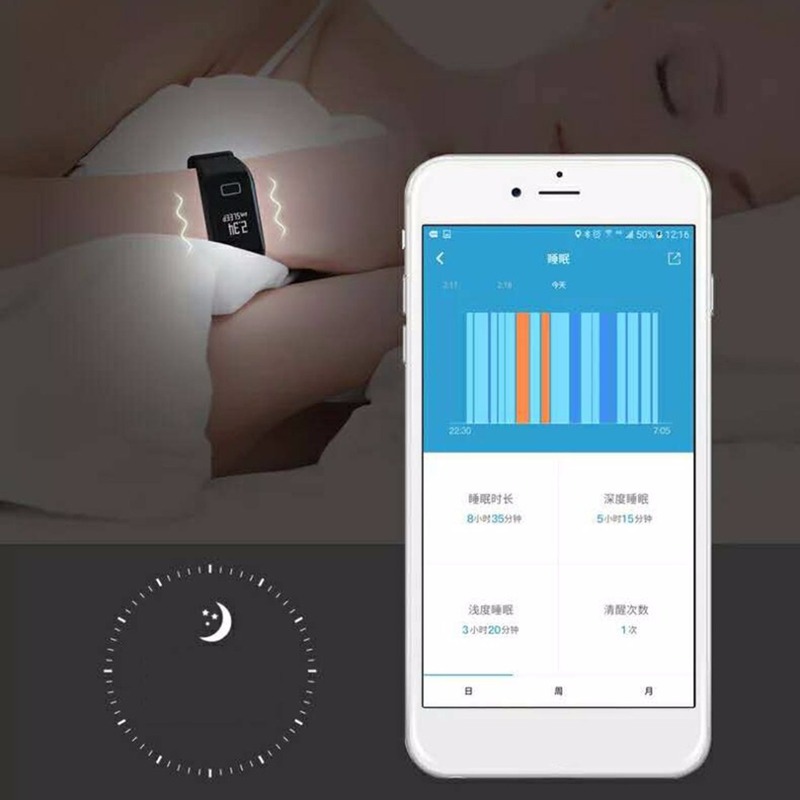 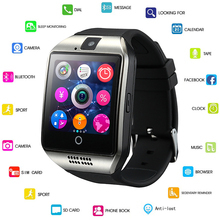 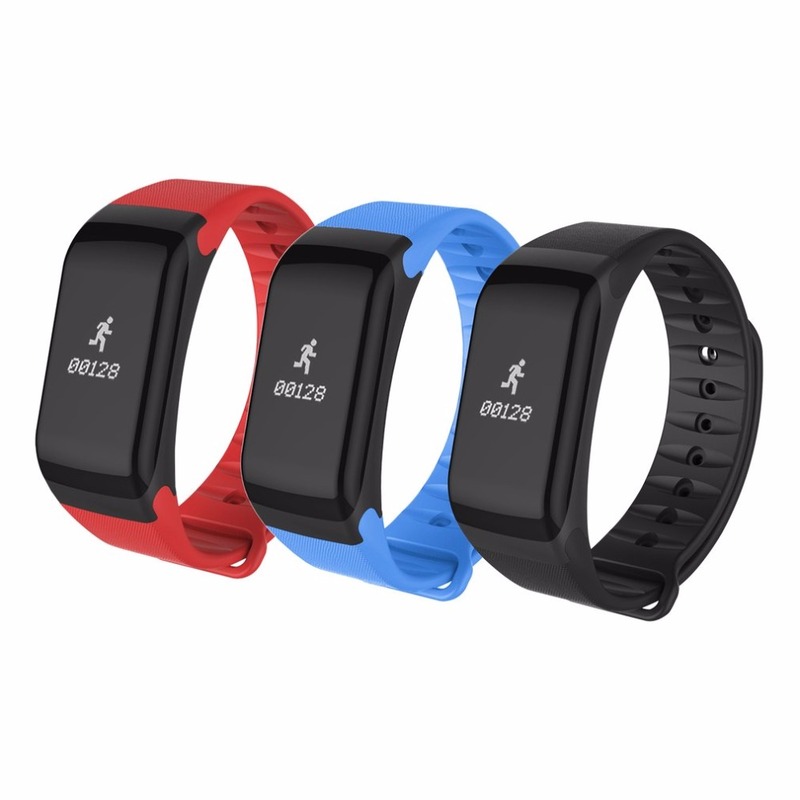 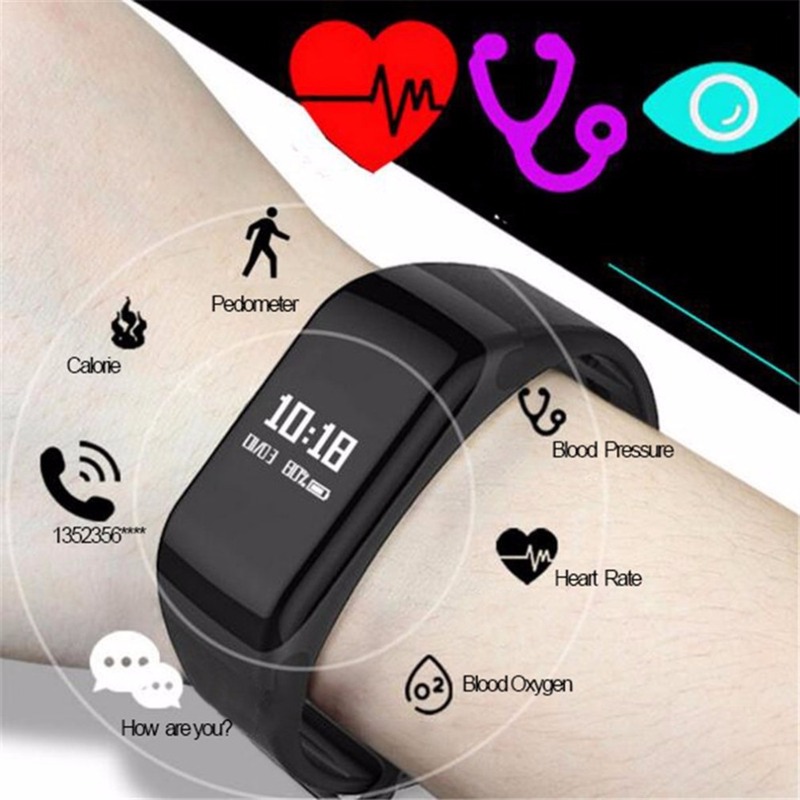 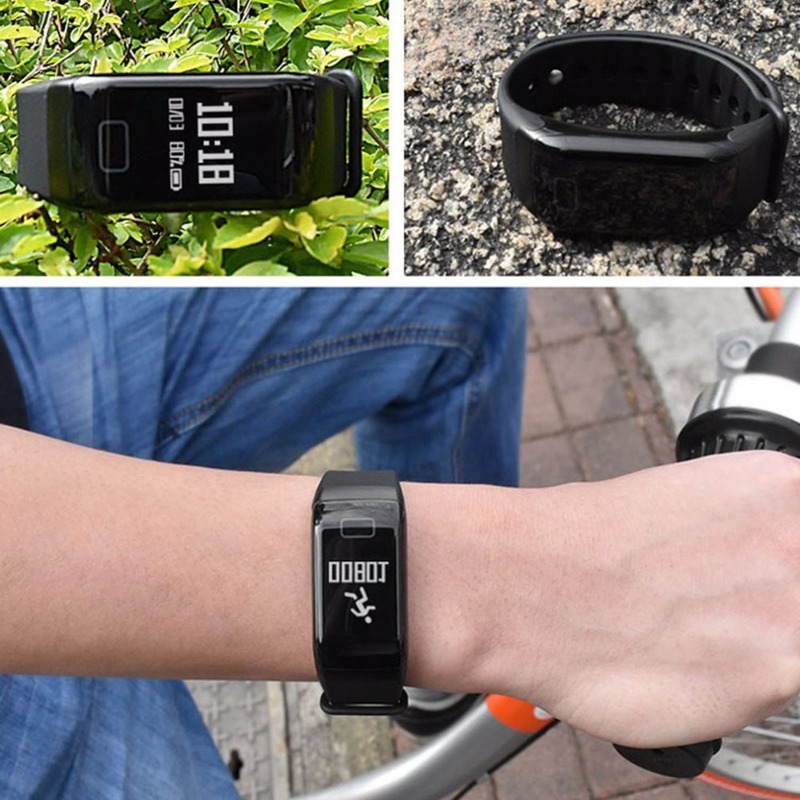 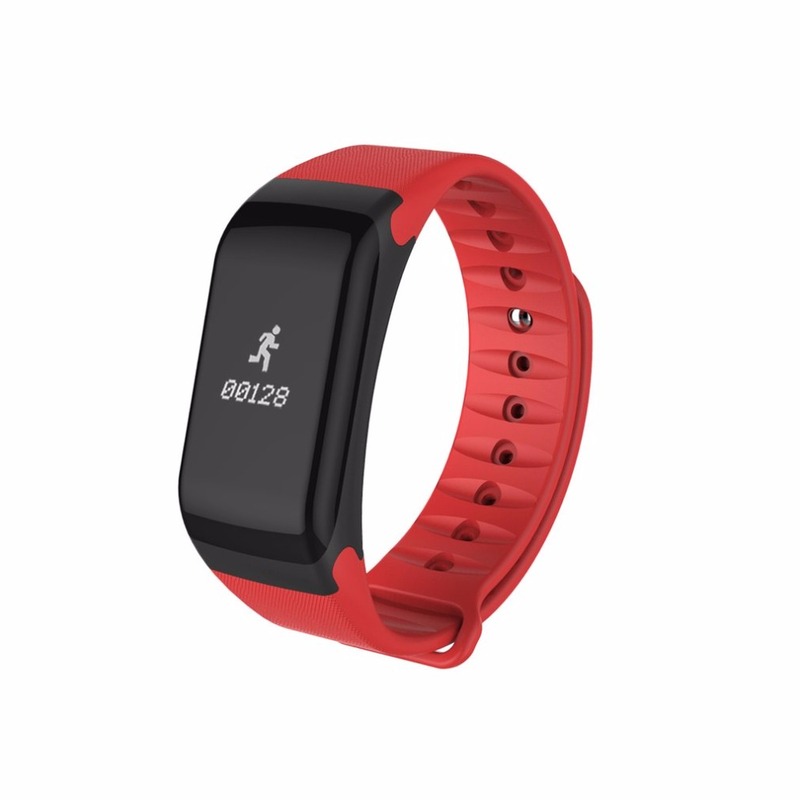 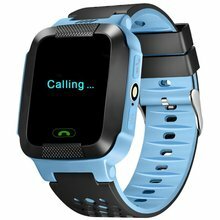 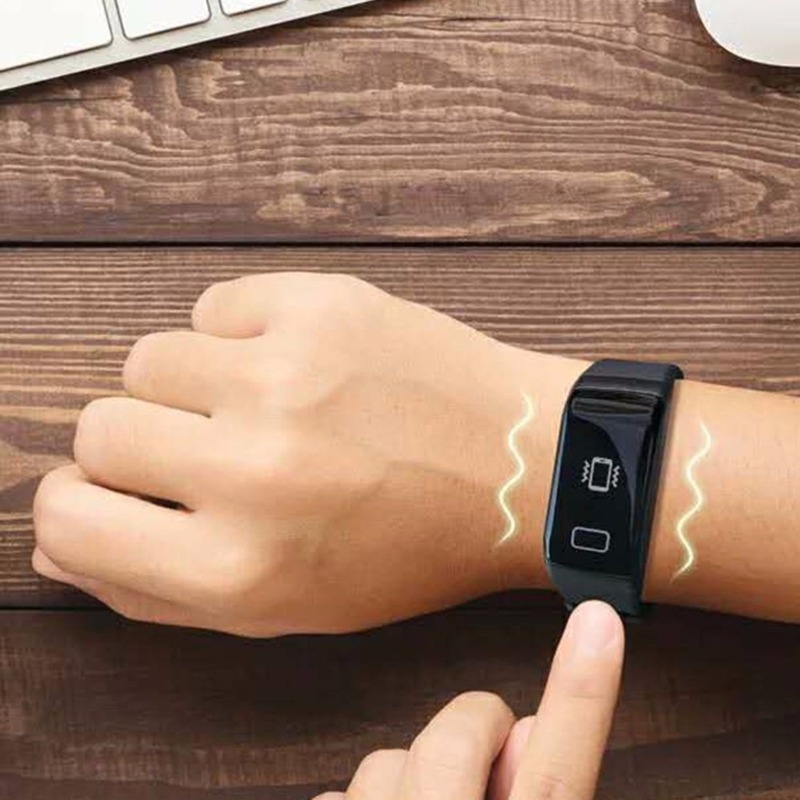 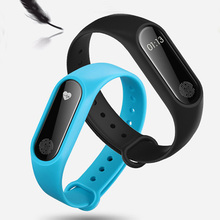 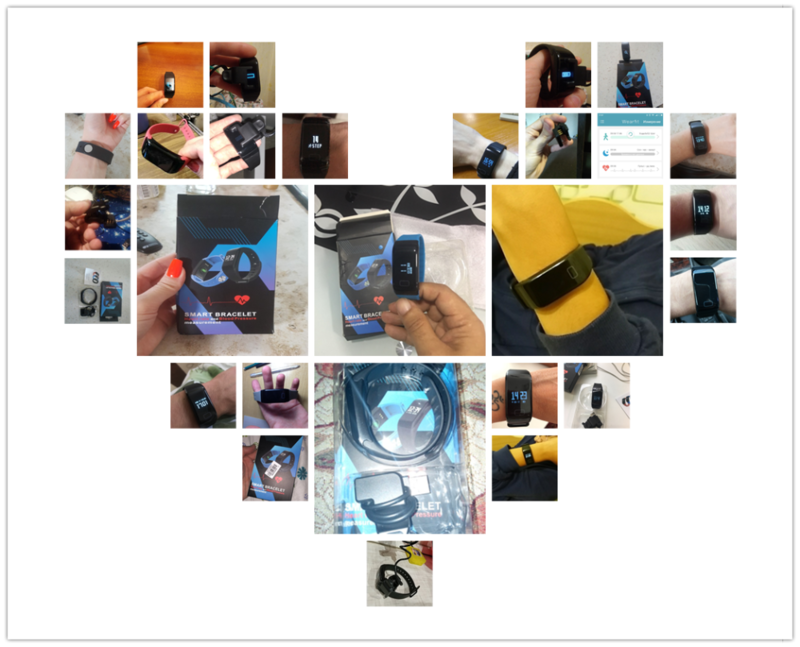 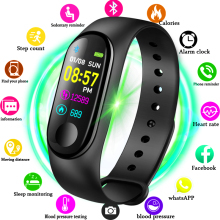 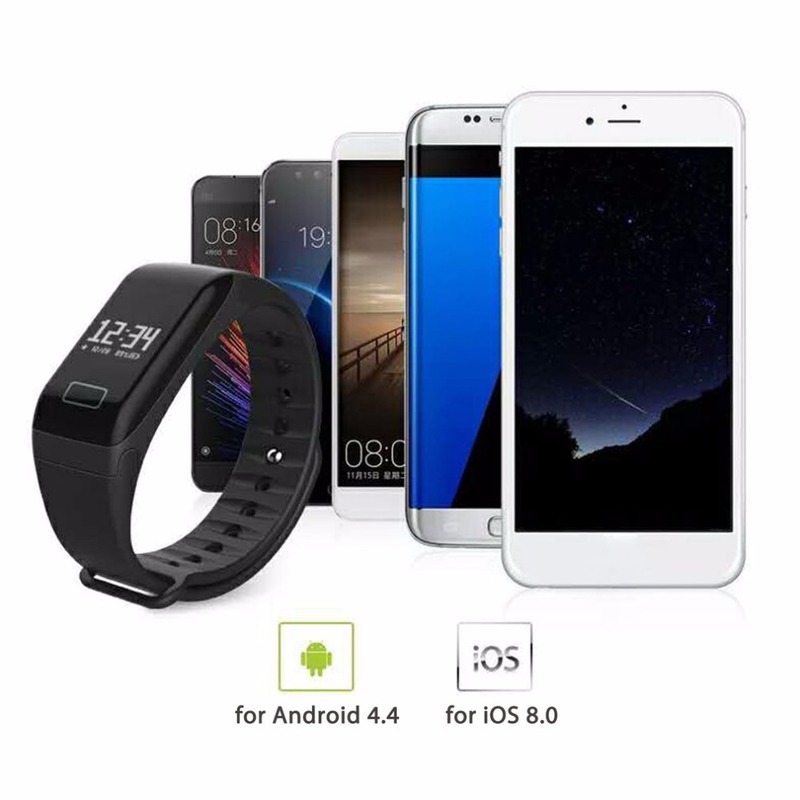 It supports multi-functions: Pedometer, distance, calorie counter, sleep monitor, time display, call reminder, alarm clock, WeChat, QQ, FACEBOOK, Twitter reminder, static & dynamic blood pressure, oximetry monitor, blood pressure monitor, heart rate monitor, etc. 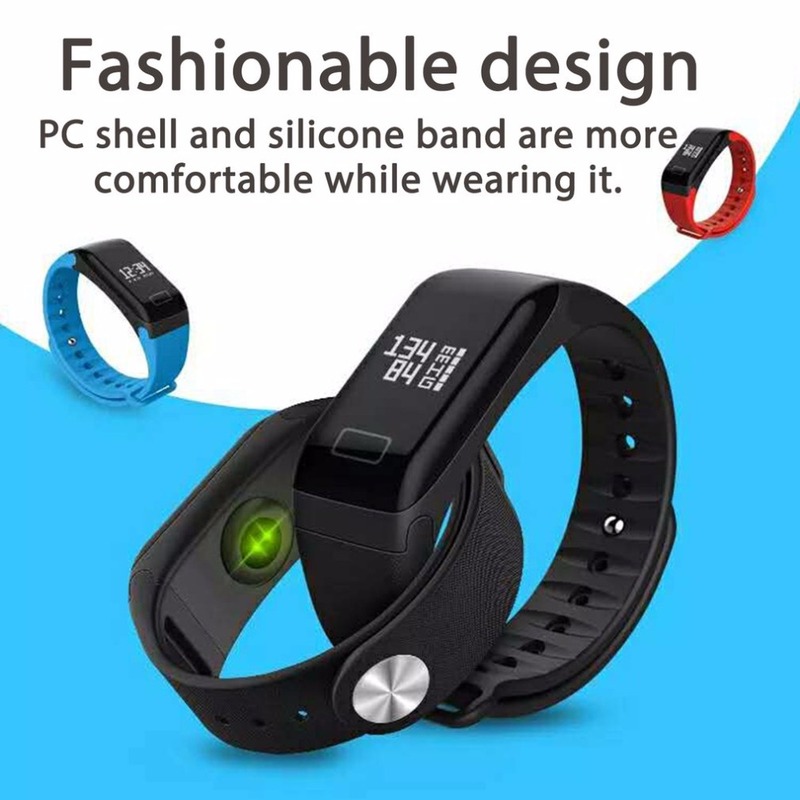 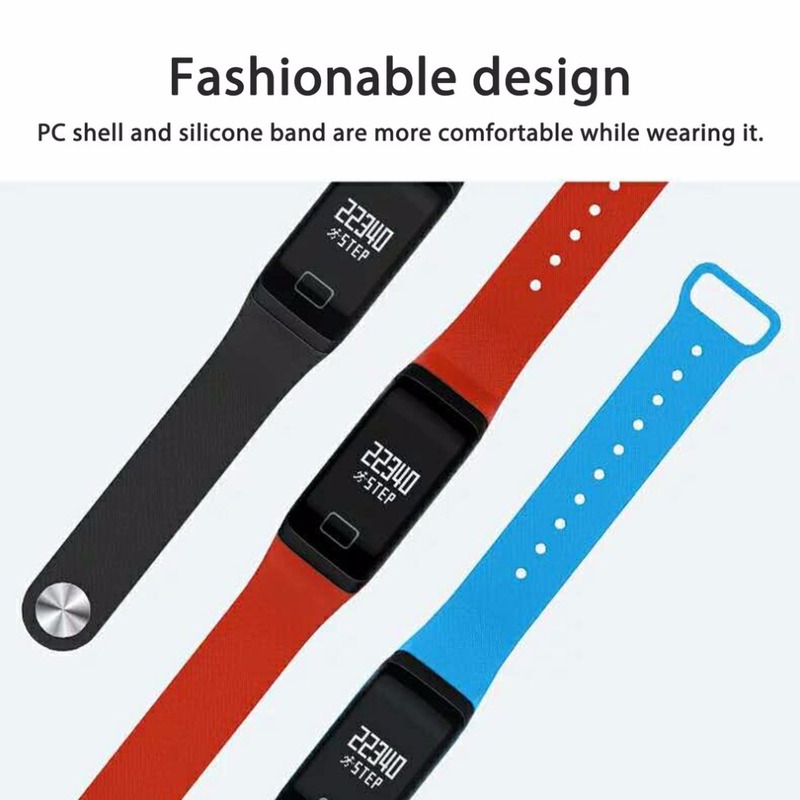 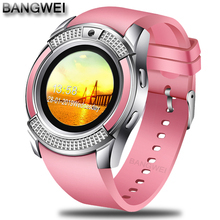 Fashionable design, PC shell and silicone band are more comfortable while wearing it.